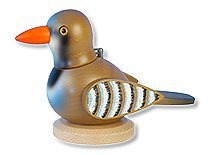 The Partridge is the sixteenth addition to this series of annual tour "cracking birds" that the Ulbricht firm has created since 1997. 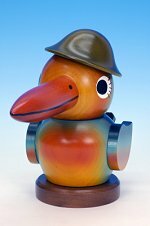 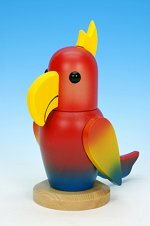 This tourbird nutcracker was released in conjunction with our visit from Gunther Ulbricht to our shop on November 9th 2012 and at a handful of other select retail collectibles shops across the country hosting Ulbricht signing events. 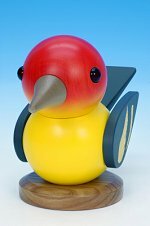 Made in Germany Limited Edition 5-3/8 Inches - 13,6 cm This bird is Signed & Dated 2012 by Gunther Ulbricht.